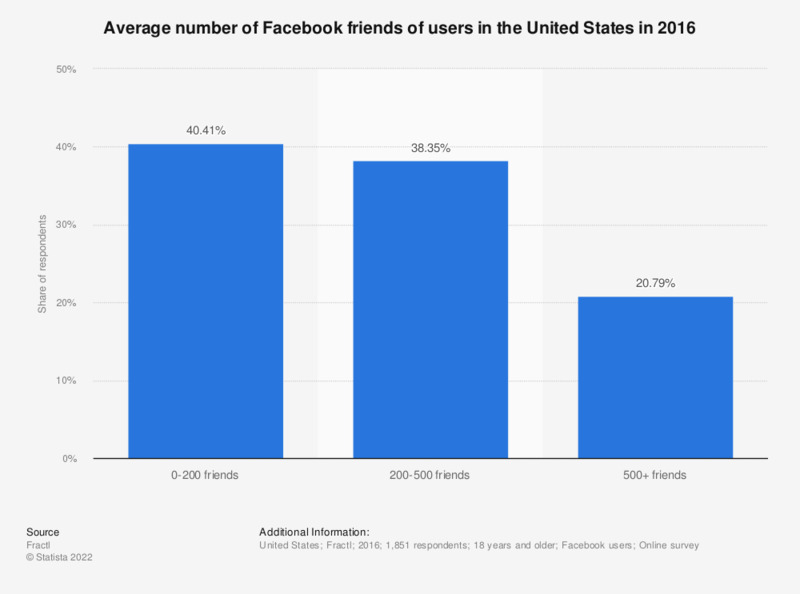 This statistic shows the average network size of U.S. Facebook users in 2016. Overall, 40.4 percent of Facebook users in the United States had between zero and 200 friends on the social network. A total of 20.8 percent of respondents had more than 500 Facebook friends.